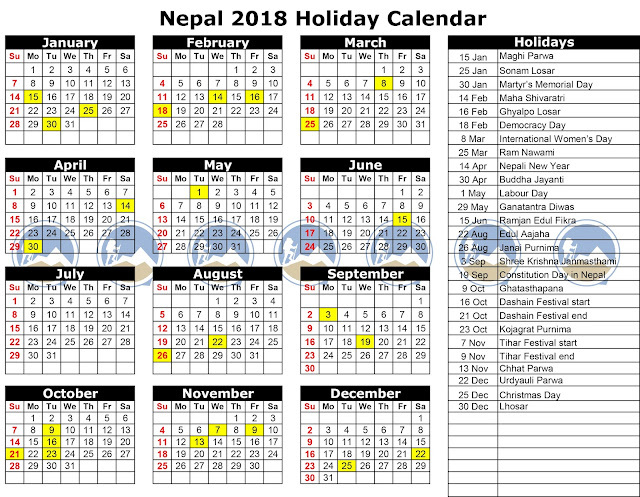 Are you looking for public holidays in Nepal in 2075 Bs or 2019/2020 AD, here are the lists of holidays. The dates may be changed or modified as prior of official changes announced so please check back to our website regularly for more updates. The month of Aswin is the month of Dashain Festival, the greatest festival of Nepali Hindu people and is celebrated all over the world. It is the longest and biggest festival of the year 2075. During the festival, goddess Durga is worshiped for 10 days. The first day of Dashain is called as Ghatasthapana, 7th day is called as Fulpati, 8th day is called as Ashtami, 9th day is called as Maha Navami and 10th day is Vijay Dashami. On the 10th day, people receive tika and jamara from the eldest person of the family. The 15th day is celebrated as Kojagrat purnima and Dashain festival ends. This year, Dashain festival is started in Aswin and ends in Kartik. This year, in Kartik, there are three major festivals Vijay Dashami (few days), Tihar festival and Chhat puja. Dashain and Tihar are the biggest festival of Hindus. Tihar festival also called as Festival of Light is celebrated for 5 days and every day has its significant meaning of celebration. First day is celebrated as Crow (Kag) Tihar and Kag is worshiped during this day offering the sweet things. Second day is celebrated is Dog (kukur) Tihar and dogs are offered tika and foods. Third day is celebrated as Cow (Gai) Tihar and Laxmi puja. During this day, cow is worshiped offering the food and tika. At evening, the Goddess of Wealth (Laxmi) is worshiped with special puja. During this days, Laxmi puja is celebrated with great importance. The offices, houses, industries are bright with different colorful lights and Rangoli. The fourth day is called as Govardhan puja or Oxen puja. During this day, oxen are worshiped. The last day is called as Bhai Tika. It has great importance in culture of Nepalese. During this day, sisters worship their brothers for their long and happy life. The put the different 7 colors on the forehead of their brothers and offer the foods. Similarly, in the month of Kartik, there is another great festival called as Chhath Puja. During the festival, God sun is worshiped specially by woman. 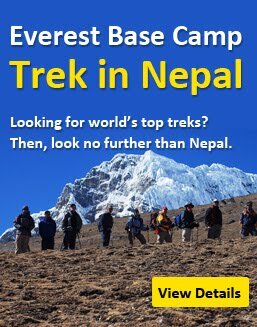 Note: The Government of Nepal has cut off some holidays which we mentioned above. Please read here for details >>>.